Nathan grew up in a loving Christian family, and came to know the Lord at a young age when his Mom explained the gospel to him. He appreciates the knowledge he gained by going to the Word of Life Bible Institute in Schroon Lake, NY for one year with Karen, and would recommend it to anybody, no matter what point they are in their lives! He also loves to serve in his local church in many different ways. Nathan now serves as an IT Technician and Resource Room Coordinator. He is enjoying every minute of serving in a more full-time position. Karen accepted Christ by her bedside with her Dad in Guelph, Ontario after an Awana meeting where she understood her need for forgiveness for sin. Nathan and Karen met at a youth drop-in center in Simcoe, Ontario. One of their first dates was attending an alternative to Karen’s high school prom, at which the Word of Life Impact Team provided musical entertainment and skits. They were married in May, 2001, and attended the Bible Institute together during the first year that they were married. 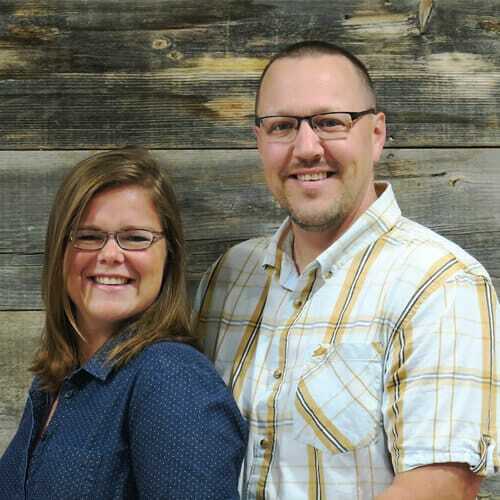 After their summer ministry quarter at the camp in Owen Sound, God opened doors and lead Nate and Karen to stay in the area.